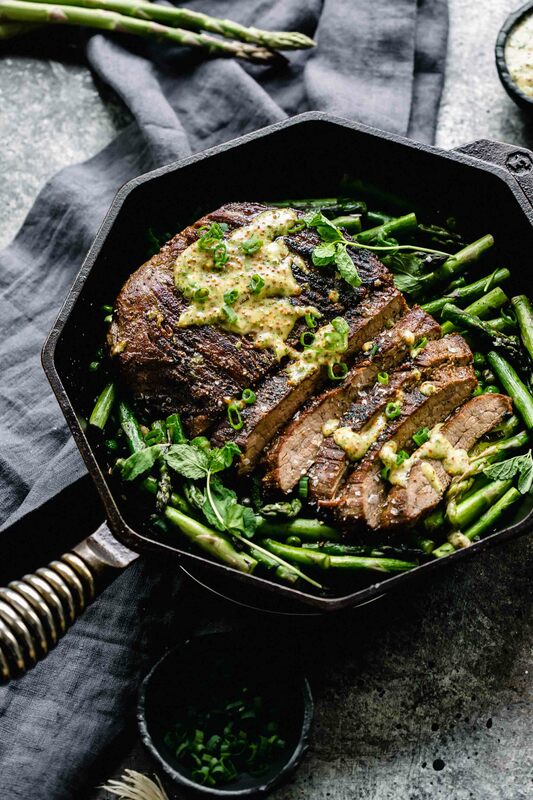 Skillet Steak with Spring Vegetables & Mint-Mustard Sauce is an elegant dinner that’s easy enough for weekday entertaining. 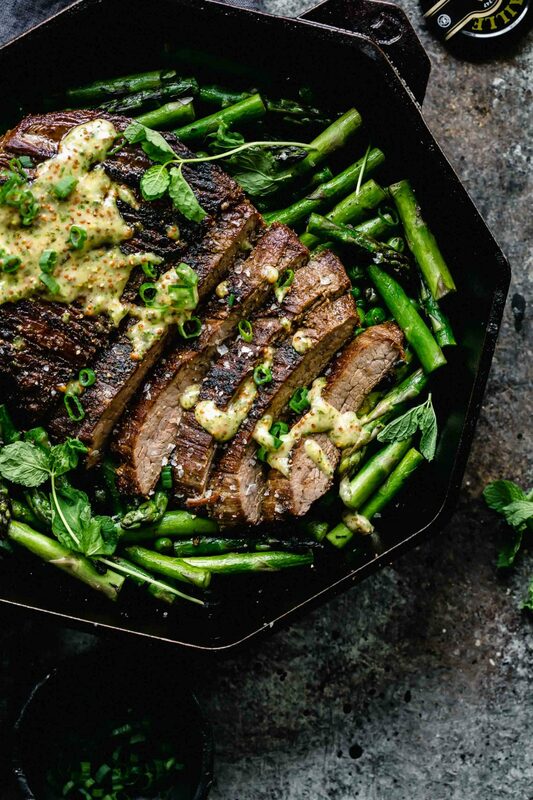 Steak, peas and asparagus cook up together in just one pan! If you loved this recipe I would appreciate it so much if you would give this recipe a star review! Also, be sure to snap a picture of your finished dish and share it with me on Instagram using the hashtag #platingsandpairings and tagging me @platingsandpairings. 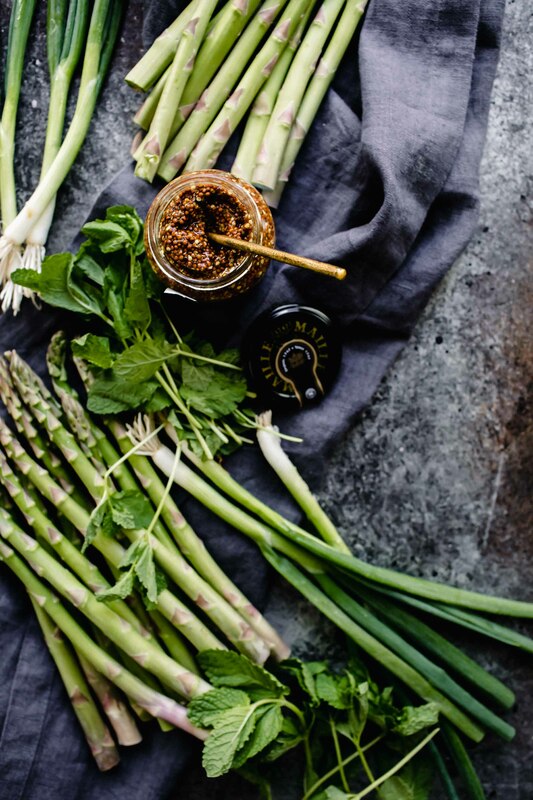 I teamed up with Maille to bring you this post. As always, all opinions are my own. 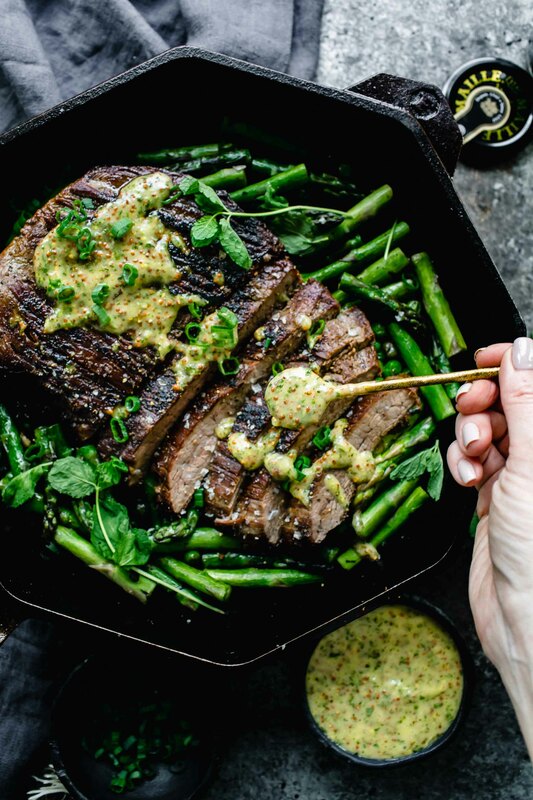 Cabernet with its minty undertones makes an excellent pairing for the hearty steak and echoes the flavors in the mint mustard sauce. Petite Sirah is another great match. 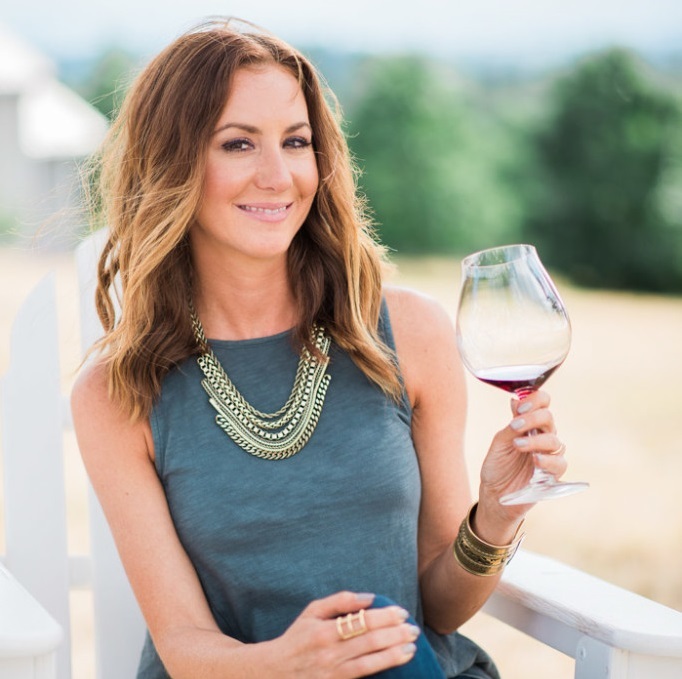 With flavors of plum, raspberry, blackberries, and black pepper, it stands up well to hearty meat dishes. Hooray for one pan meals! Hooray for fewer dishes!!! I love everything about this from the flavors to the colors for serving!! I love love love all of my Lodge pans. Something about cooking in cast iron!!! And this steak is so incredibly drool worthy! 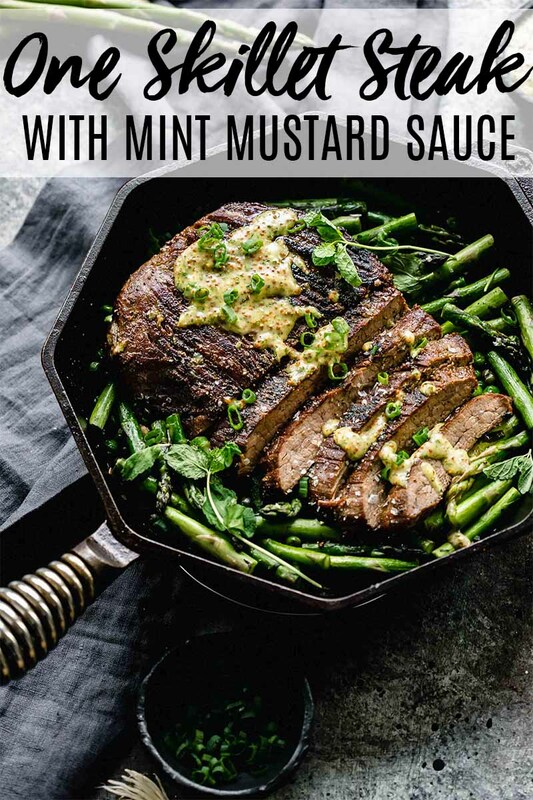 That mint mustard sauce sounds incredible. I love cast iron too and I’m obsessed with this new dual handle version from Lodge! It’d be perfect for fitting on your grill Mary! This sounds really good! Do you have any recommendations on summer veggie that could be subbed in to make itg more seasonal? Hi Sara – I think that zucchini, snap peas, summer squash would all be wonderful in this skillet dinner too!